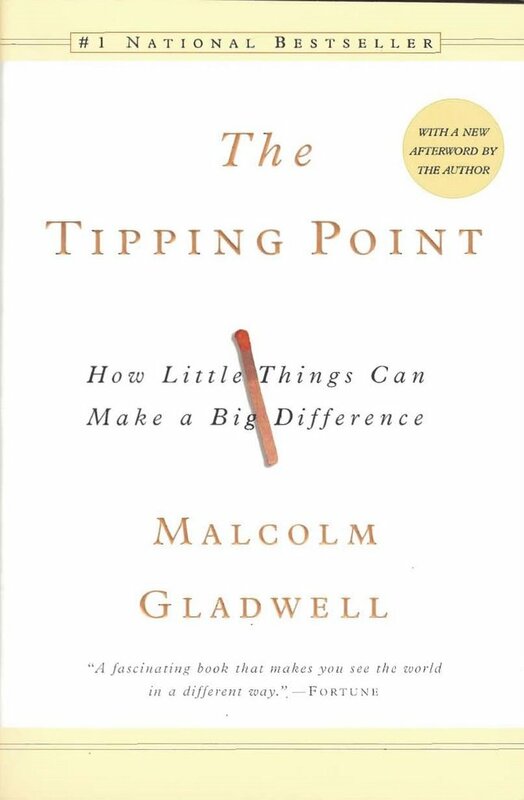 Per my new boss' request, I gladly read the book The Tipping Point by Malcolm Gladwell in preparation for a new and crazy career venture...that involves branding and creating a viral marketing campaign for a new store. 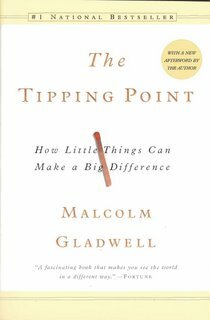 While, the tipping point is filled with fairly "common sense" principles and lots and lots of anecdotes (sometimes too many), Gladwell's best-seller is great because it creates a vocabulary. One of the most helpful things about the book is what Gladwell calls the Law of the Few. 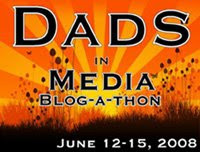 The concept is that in order for something to become viral the right information, product, image, etc. Needs to get channeled through the right people, the type of people who create the right buzz. Connectors - the person who knows everyone, talks to everyone, makes friends with everyone, and will tell the world about what your doing. Mavens - The person who investigates everything, knows which products are the best, they research for hours, they're all about finding the best deals on the best things. They don't talk to tons of people, but people come to them because they're experts and there minds are steal traps of information. Salesmen - These are people who naturally make you interested in something because their words, body language, and attitudes lead you to get from point A to point B, and before long you've signed on the dotted line and you don't even know what happened. These aren't your sketchy car salesmen, but people who simply have the natural gift to sell you. This has been a fun concept to have in mind. As only 1 person, I can only do so much, but if I can get other people to be connectors, mavens, and salesman on my behalf, how cool is that! The store opens to the public this Saturday, and in many ways it is a test to whether or not I've begun to find "the few" who will make a grassroots marketing campaign work. There has been no bill boards, TV or radio spots yet for the store, just a lot of phone calls, e-mails, and meetings this past month. Yet in the past two weeks, some of the contacts I was most excited about seemed to fizzle, while others that seemed like nothing ended up being the type of people who really made my message pop. It's tricky, because it takes a lot of talking and a lot of energy to find these "few" that make a world of difference. The campaign doesn't stop after this week, but this Saturday and the week to come is a benchmark of my performance thus far, in perhaps creating a tipping point. RC, thanks for the visit and comments. I think I would find this book interesting, and I appreciate the review. I'll be back. your boss sounds like a jerk. he was probably too lasy to read it himself. This is one of those books that I debated on whether I wanted to read it or not. It looks fascinating, but I have a hard time with non-fiction. This does look like an interesting book. Malcom Gladwell is a good writer. I love reading about the business of business. It would be a good change of pace from my recient books about islam and the middle east. Good luck on Saturday! We're praying for the success of C28! !